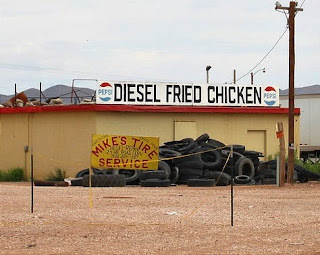 When driving through Van Horn, Texas, be sure to grab yourself some diesel fried chicken. The Colonel has nothing on this place. I think the tires really cinch it for me. Nothing like rubber-smoked okra on the side!